Buying property? Then you’ll need a conveyancing practitioner. But what is a conveyancing practitioner? If you’re buying or selling real estate will you need the legal services of a conveyancing practitioner? In this article, your Auckland lawyer explains what a conveyancing practitioner does and why you need one for your property transaction. Buying a first or new home is one of life’s greatest joys – it’s also a big step and probably the most significant financial transaction most people will ever make. So, it’s not something to be dealt with lightly. However, before you can take possession of your new property and move in, you have to ensure that the process of transferring legal ownership of the property to you is completed properly. This legal process of transferring ownership of land or property from one person or entity to another is known as ‘conveyancing’ – and you need the help of a qualified conveyancing practitioner to facilitate the process for you. At the high level, we can summarise conveyancing as changing the ownership on a property’s Certificate of Title, registering a mortgage (for buyers) or discharging a mortgage (for sellers), and transferring cleared funds from the buyer to the seller. While that might sound straightforward enough, there’s actually a whole heap of legal processes and paperwork that needs to happen behind the scenes before everything is done and dusted. And it needs to happen correctly otherwise it could even cause the whole deal to fall through. What is a conveyancing practitioner? A licenced conveyancer – in other words, someone who specialises in the transfer of property ownership. While a licenced conveyancer is specialised in property, they can’t deal with any other complex legal issues. Irrespective of whether your conveyancing practitioner is a licenced conveyancer or a conveyancing solicitor or lawyer, they will handle all the legal aspects of your property purchase or sale for you. However, a property deal is often quite a complex process, and there can be all manner of surprises and complications lurking in the process. For example, if there is a dispute over a property boundary, if the transaction involves a tricky lease arrangement, or perhaps the sellers are in the process of a relationship break-up. In such cases it’s advisable to use a fully qualified solicitor or lawyer as your conveyancing practitioner. After all, if you’re using a licenced conveyancer as your conveyancing practitioner and another legal issue pops up during your property transaction, they would have to refer you to a solicitor or lawyer to deal with the matter. Your Auckland conveyancing practitioners at Remuera law firm Quay Law are also fully qualified conveyancing lawyers with extensive training in many aspects of the law, not just property law, which can be very handy if any other legal issues should pop up during the conveyancing process. Why do I need a conveyancing practitioner? A property deal is never just a simple buy-sell transaction. 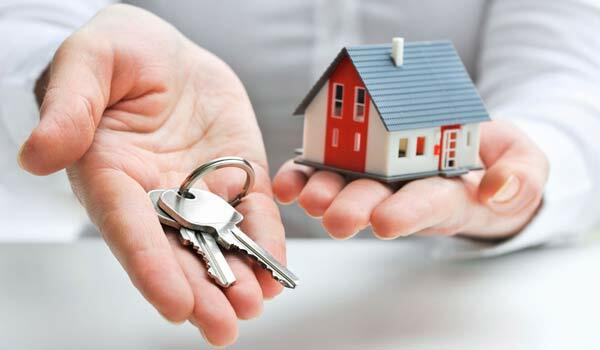 There’s a complex web of relationships – for example, the respective banks of the seller and buyer, their mortgage brokers and insurers, their estate agents, the local authorities – and they each have their own special requirements that have to be satisfied before the property transaction can be successfully concluded. It’s the job of the conveyancing practitioner to manage all these relationships and ensure that each party’s requirements are met before the transaction can be completed. The service you receive from your conveyancing practitioner during your property purchase can make a huge difference to how easy or difficult the whole process is for you. Your Quay Law conveyancing solicitor in Auckland will handle all the legal aspects of buying or selling a property for you, from dealing with the purchase and sale contracts and doing local council searches to liaising with the banks and transferring the funds to pay for the property. What does a conveyancing practitioner do? Property Sale, Property Purchases, Property Refinance, Tenancy Agreements, Leases, Mortgages, Building Contracts, Subdivisions, Cross Leases, Unit Titles and more. Your Quay Law conveyancing lawyer in Auckland will handle all the legal aspects of buying or selling a property for you. If you’re in the process of buying or selling a property, don’t hesitate to get in touch with your Remuera conveyancing solicitors at Auckland law firm Quay Law as soon as possible. Our conveyancing solicitors are fully qualified and experienced in all conveyancing matters. In fact, we pride ourselves on taking the stress out of your property purchase by managing your property transaction for you from start to finish – and we’ll keep you fully informed of what’s happening throughout the process. So get in touch with us today. Choose from the appropriate conveyancing service below and fill out the form. Once received, we will be in contact promptly. Do you need us to produce a Sale and Purchase Agreement? Are you buying a home, section, or house and land package? Do you need us to review a LIM Report (Land Information Memorandum) you have acquired? Do you need us to review a building report you have acquired? Do you require a mortgage to purchase? Is there an EQC (Earthquake Commission) claim outstanding on the property? Who will be the owner of the property? What type of Title are you buying? Do you require us to produce a 'Deed of Gift'? Do you require a guarantor for your mortgage lending? Do you have mortgage to pay back? What type of Title are you transfering? No Yes, for purchase. Yes, for sale. Yes, for both. Do you require a mortgage to purchase and do you have a mortgage on your current property? Is there anything that might stop an immediate settlement? Dispute, divorce, bankruptcy etc. Please fill out the relevant conveyancing quote form above. Quay Law looks forward to advising you on any conveyancing matters. We look forward to being in touch with you soon. Our legal tips are provided by the Remuera, Auckland property lawyers and conveyancing specialists at Quay Law (New Zealand). These articles cover a range of legal topics and news worthy articles. Best Conveyancing Lawyer For Me? There are many factors to the selling, buying and refinancing of a property that cause far more trouble than you should have to face alone. A conveyance lawyer will protect you through the thick and thin of your property transaction. Which is the best conveyancing lawyer for me? “Conveyancing lawyer for me” – what does this really mean? We know that the Auckland housing market today is a touchy subject for most young homeowners-to-be. With ever-changing interest rates and many prime property purchase opportunities being snapped up faster than some of us can keep up with, home ownership can be a looming prospect for Aucklanders to face. As if this wasn’t a stressful enough situation to consider, there are many underlying factors to the selling, buying and refinancing of a property that are often overlooked, and eventually cause far more trouble than you should have to face alone. A severely underrated asset to your arsenal is the conveyance lawyer – a member of your team that is devoted to seeing that the needs and wants of all parties are met. Above all, a conveyancing lawyer ensures that the undertakings of all parties are upheld and met to the best of their ability. With all of these factors to consider, the question of “which is the best conveyancing lawyer for me” springs to mind. We want to assure you that no matter the interest rates you face, or how drastically the rate of property sales in Auckland fluctuate, we will be here to assist you for all your property buying, selling and refinancing obligations. As the oath keeper, you can rest assured that when working with our conveyance lawyers, all of your needs will be met with enthusiasm and remarkable results. Give our conveyancing lawyers a call today for all of your property selling, buying and refinancing needs. The BNZ shared home ownership scheme is not dissimilar to homebuying schemes which have been run in the UK and Ireland with success for a number of years. In summary, a first-time buyer teams up with an equity investor to co-purchase a house. The buyer invests what they can afford, with the co-investor (in this case YouOwn) investing the remainder to bring the total equity to 20%. The buyer then services the loan on their share of the property, as well as paying an “interest” charge to their co-investor, with the eventual aim to buy them out and own 100% of the house. It allows you to get a foothold on the property ladder – you put up a deposit that you can afford (minimum 5%). You can start to increase the % ownership you have in the property after 5 years, with no set timeframe to achieve full ownership of the house. This scheme is aimed at buyers with a household income of minimum $120,000 given the price of the eligible homes. It only applies to certain Auckland new-build homes at the present time. As well as your mortgage repayments you pay a separate charge on the equity investment by YouOwn. You’re responsible for all ownership costs such as insurance, rates and maintenance of the house. You won’t be able to sell your house without agreement from the equity co-investor, although you may be able to rent it out if your circumstances change. As Auckland lawyers, we consider the BNZ co-ownership scheme to be an interesting new way to get on the housing ladder for first-time buyers. However, it always pays to do your research and to consider all legal aspects to ensure that it’s the right choice for you. Here at Quay Law, as property lawyers and conveyancers we’d be happy to help you discover if the shared homeownership scheme is right for your circumstances. 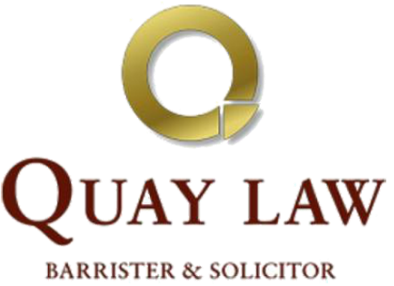 If you’re looking for a lawfirm in Auckland to help with selling, purchasing or financing a home, get in touch with Quay Law today. In October last year the foreign buyer ban NZ came into effect and some New Zealanders breathed a sigh of relief, but should they have? Will the foreign buyer ban NZ have any impact on property prices or overseas ownership? According to the Real Estate Sector in New Zealand, the change in property law will not help kiwis who are struggling to afford their first home. However the Associate Finance Minister David Parker says it will still help in the way of stopping Kiwis being outbid by foreign buyers. According the average amount of property transfers that happen each year in New Zealand, only 3% have foreign buyers. That equates to approximately 4200 houses. This number may seem small, but when you add up the total year to year, the number grows significantly, therefore these restrictions may start to have an effect on Kiwi first home buyers after all. Australian Property Restrictions and What They Show. Before these restrictions came into effect in NZ, Australia had already banned foreign ownership on existing (opposed to new) residential properties. However, they hadn’t created any restrictions for foreign trusts and corporations, which means that their laws are less strict than ours. So far, there is little evidence that shows that these restrictions have had any impact on slowing housing price inflation in Australia. How did foreigners react to the foreign buyer ban NZ? A large percentage of foreign property buyers are from China as they prefer to invest outside of China, in countries that have a more stable economy which can provide good returns on investment. Upon hearing the news of the new restrictions being put in place against foreign buyers, many Chinese jumped at their last chance to buy in NZ. There was a 59% increase in NZ property enquiries on just one of many real estate websites advertising NZ property to China. The foreign buyer ban NZ frees up property for Kiwis, now it’s time to find an Auckland law firm that knows real estate law. With the extra 4200 homes opening up to Kiwis each year, it’s time to look into a conveyancing law firm in Auckland to help you understand real estate law with your property transactions. Quay law can help you with purchasing, selling, conveyancing, financing and all general legal advice you could need to know. If you have found or are selling the perfect home, call Quay Law to speak to a qualified and professional conveyancing and property lawyer. We are lawyers in Auckland, who provide practical legal services and conveyancing to a diverse range of New Zealand and overseas client needs. Centrally located in Remuera, Auckland, we look forward to working with you. Some common forms of property ownership in New Zealand are included below. This represents a form of freehold ownership and in essence represents absolute ownership of the property. Still have questions? Please connect with our conveyancing lawyers for a no obligation discussion. This is a form of property tenure where one party buys the right to occupy land or a building for a given length of time. Until the end of the lease period the leaseholder has the right to remain in occupation as an assured tenant paying an agreed rent to the owner. If you still have questions, don’t hesitate to be in touch with our Auckland conveyancing lawyers. This is a hybrid form of multi-unit tenure in which each owner has an undivided share of the underlying freehold as tenants in common, and is granted a registered leasehold estate of the particular unit or flat occupied. Effectively the property owners share ownership of the land and each owner leases their building from the other owners, which together form the cross lease title. If you still have questions, don’t hesitate to be in touch with our conveyancing lawyers. Under the Unit Titles Act 1972 the deposit of a unit plan has the effect of creating in each unit (usually multi-unit dwellings, shops, offices or industrial premises) a new kind of statutory estate called a stratum estate in freehold, or a stratum estate in leasehold, depending on whether the land which was subdivided into units was freehold or leasehold. Still have unanswered questions? For a no obligation discussion, call a conveyancing lawyer. Our Auckland lawyers are able to provide you with a conveyancing fee quote and have assist many families with their loan | refinancing requirements.